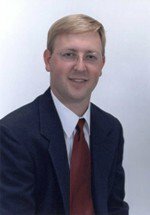 ERIC D. TINDAL, partner, is a 2000 graduate of the University of Iowa College of Law where he graduated with distinction. He has worked in association with the firms of Saylor & Tindal in Williamsburg and Tindal & Kitchen in Washington, and he is the city attorney for the City of Williamsburg. Mr. Tindal also served nine years in the United States Army Reserves as a Respiratory Specialist. He is a member of the Iowa State Bar Association, the Iowa Trial Lawyers Association and Dean Mason Ladd American Inn of Court. He has been in practice since the year 2000. Mr. Tindal's practice includes but is not limited to worker's compensation law, criminal law, and personal injury law.